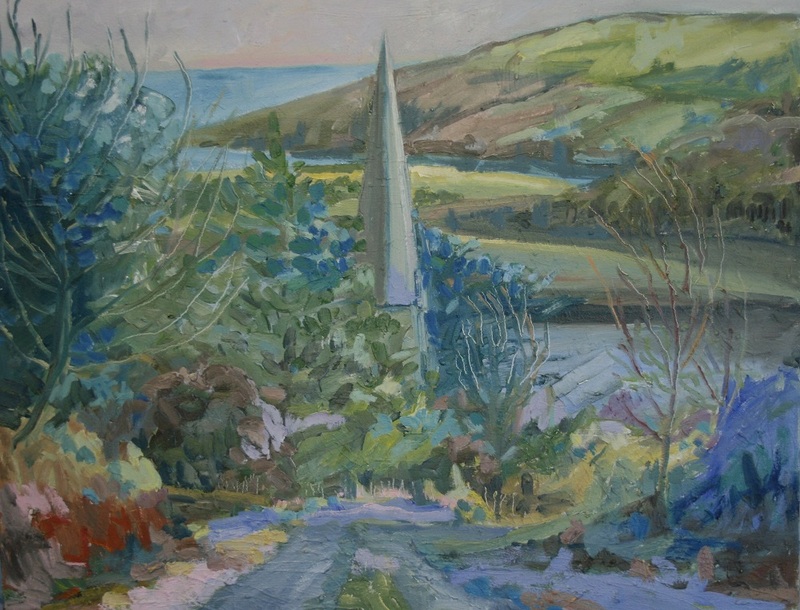 Anastasia O’ Donoghue Healy has transitioned from a teaching career to a full-time painter. She says her paintings reflect a meeting of her exterior journey in the landscape with her own personal interior journeying. The landscape has had an ever-present role in Anastasia’s life. Being in nature invites oneness, presence and always invites a fluency and peace in her painting process. What seemed like freedom as a child she now understands as a heightened sense of “Being”. 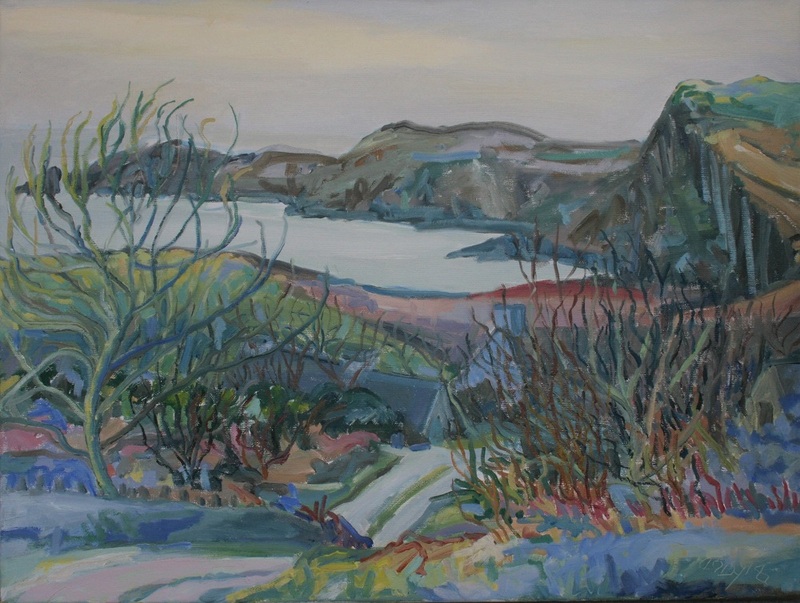 Anastasia says painting en plein air invites a triangular intuitive dialogue between the artist, the landscape and the work itself while immersed in the moment. Before starting each painting, she begins with thumbnail drawings preparing for composition decisions for her canvas. This practice also keeps her drawing skills fluid. 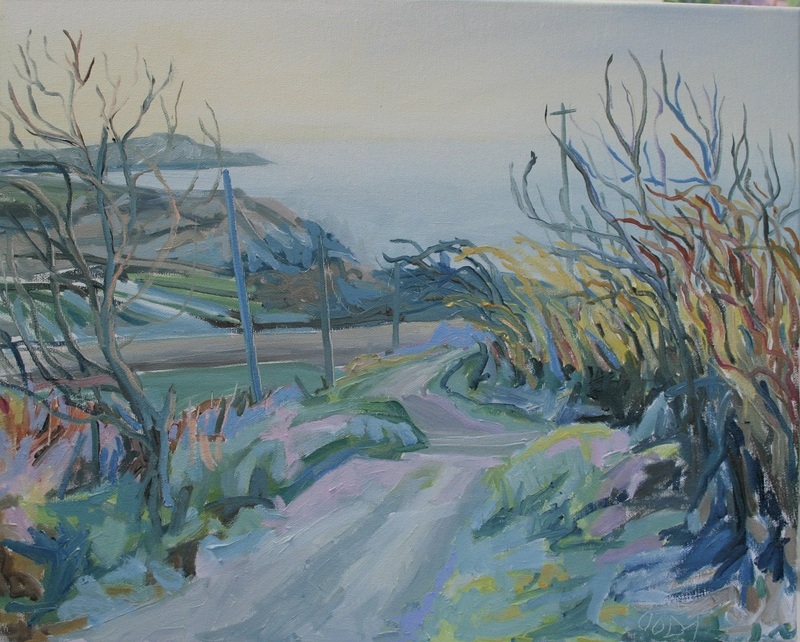 Anastasia paints rapidly and intuitively capturing her experience of now in the landscape by her use of colour and mark making. In short, she aspires to capture the “isness” of the landscape.